If you are new to the world of digial marketing you should take time to learn about the field, read some of the top digital marketing blogs and watch videos that discuss SEO. Once you are familiar with some of the basic terminology you can proceed to the work itself. Make an analysis of your current state. Look at what types of digital media you already have at your disposal. For example, it is likely you have already been in contact with an SEO firm and have a company website. In many cases, businesses also have an established presence on some social media sites like Facebook, LinkedIn and Twitter. Perhaps you’ve started on some of these sites but have not completed their setup. This is an essential step and you will want to make sure that you are making full use of SEO strategies such as properly using related keywords in titles, WebPages and tags. Analyze your audience. 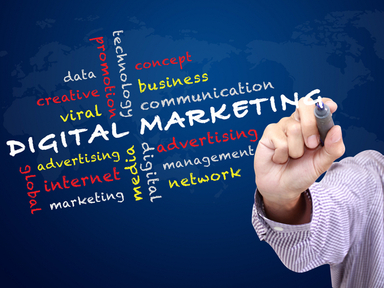 This might be the most important step in the process of developing a digital marketing strategy. Reaching your customers is the ultimate goal and it is necessary to know where they are, what they like and what they are likely to respond to. As with any business, customers are number 1 and they are your primary concern. Think about what group(s) you want to reach and exactly who you are targeting with your digital marketing campaign. Determining who you want to reach is essential for developing other steps in the process. Determine your marketing goals. You need to define your specific goals. Do you want to increase site visitors by 50 per day or obtain 300 new visitors by the end of the campaign? Perhaps you have only 20-30 likes on your Facebook page and you want to increase this number to over 100 by the end of a couple of months. Goals should be ranked in order to track your successes. Determining your goals should include: specific numbers, be measurable, actionable, realistic and reasonable, and timed. Choose the digital channels you will be using to reach your audience. The best channels to use will actually be determined by the audience. You have many channels at your disposal including: social media sites, email marketing, print, webinars, Podcasts, text marketing, YouTube videos, search engine marketing and pay per click just to name some of the most popular channels. You may start with just a couple of channels and extend out to 10 or more at a later date. Depending on your industry and the audience you are trying to reach you may choose to start developing content for a company blog or email marketing. Just remember that your audience is the heart of any campaign – use the channels they are using. Develop an action plan. Once you decide exactly what you want to do and the channels you want to use you can begin developing content. Your action plan will depend largely on the type of content you are creating and the channels you are using. Develop high quality content that will be distributed on the digital channels. This should be keyword rich and contain carefully crafted titles which help actively engage the audience. Your content is actually the crux of the matter and how it is presented will determine whether or not the campaign is successful at reaching your goals. Once you know your channels and your action plan determine a set schedule. For instance, if you are starting with a blog determine when you will be updating the blog. You may choose every Tuesday morning or two to three times per week. Just set your schedule and then be consistent. Measure and interact. No matter what digital channels are being used it is important to measure effectiveness. You may count emails, inquiries, or site visitors. You can also use more complex methods of measuring such as Google analytics. It is important to continue to monitor the effectiveness of a digital marketing campaign to determine what might (or might not) need to be tweaked.